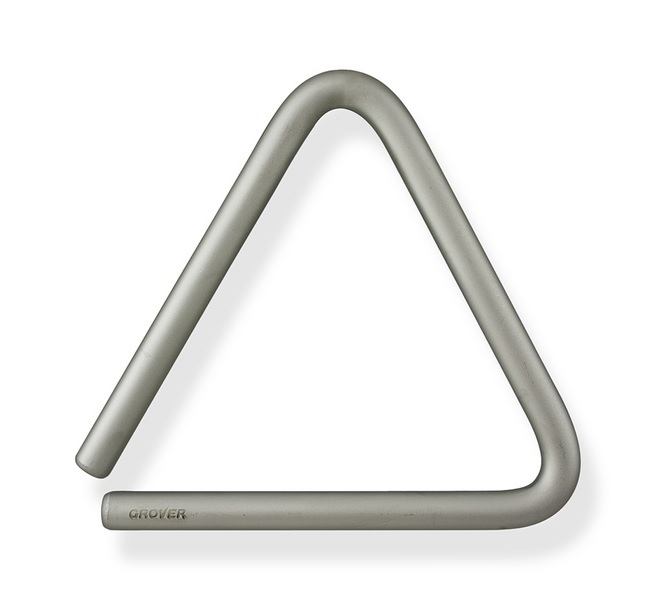 Grover Super-Overtone™ Triangles set the new standard in symphonic triangles over 30 years ago! Since their introduction we have sold thousands to top percussionists around the globe. Super-Overtone™ Triangles are the culmination of years of extensive research and experimentation and were the first triangles specifically developed to produce maximum overtone resonance. Fabricated from a special high-resonance alloy, the resulting wide spectrum of overtones coupled with an extraordinary large dynamic range combine to give this triangle a full spectrum sound spectrum. Unlike most triangles, the expanded resonance of this instrument will remain consistent throughout the expanded dynamic range. Abundant acoustic energy is produced by these triangles, eliminating the need to overplay. Grover microscopic Kanigen plating allows the highest spectrum harmonics resonate to be heard. Kanigen is also more durable and longer lasting than ordinary chrome plating.